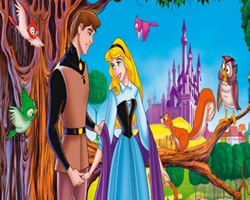 Description: Find differences in five pictures of Princess Aurora and other characters in the movie, Sleeping Beauty. The picture on the left is the original and the picture on the right will have five differences. Find all five differences in five levels to win the game.